The Friends of the Rollright Stones was set up in 1996 as a fundraising and support group to promote and aid the care, conservation and integrity of the Rollright Stones and their environment. The income raised by the Friends and the purposes to which it is applied is treated as a distinct item in the annual accounts. To promote and aid the care, conservation and integrity of the Rollright Stones and their environment. To promote and aid the care, conservation and integrity of other Ancient Sites and their environment. To support the objectives of the Rollright Trust. Examples of the Friends' support have included helping with the cost of the much needed erosion work and incorporating additional land into the areas round the King's Men and Whispering Knights, paying for new gates and printing pamphlets. In return for their suppport Friends receive a newsletter, published on an occassional basis, and are invited to the Trust's annual forum event. Many also volunteer their time in various ways. See more below. Current subscription rates are £10/yr for individuals, £15/yr for family or group membership. The annual subscription entitles Friends to free entry to the site, the newsletters, plus first-hand information and invitations to the annual Forum and other events at the Stones. We are always keen to welcome new Friends so please use the Contact page to ask for details. Our newsletter, usually published about 3 times a year on an occasional basis, is sent to members of the Friends of the Rollright Stones. It covers news about projects and issues related to the Stones, and also more general pieces covering different topics – pretty much all things vaguely megalithic - archaeology, earth mysteries, spiritual, spooky/weird/personal stuff, folk-lore, environmental and conservation issues. Basically, anything and everything that people have views on as long as they are not libellous or too judgemental! 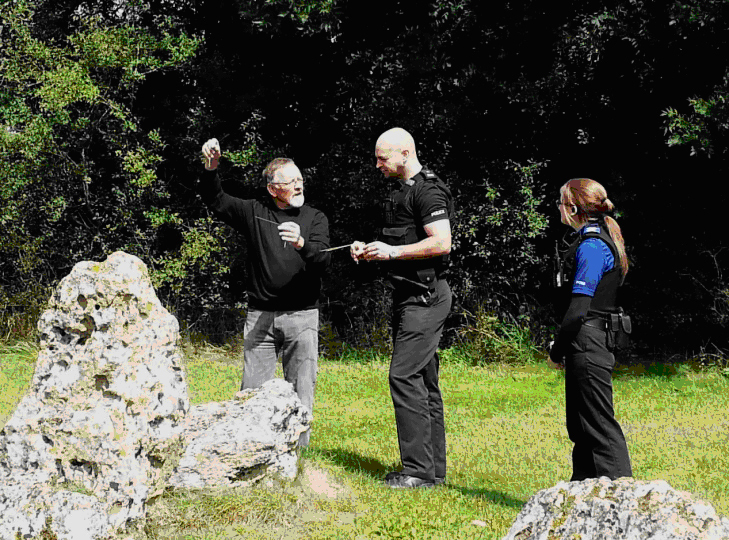 One of the key ways that the Friends keep in touch with what is happening at the Stones and have their say is through an annual Forum organised by the Trust to which Friends along with neighbours and others with a close interest are invited. The format varies from year to year but generally includes a briefing on the latest issues, new projects and forward plans of the Trust and one or more talks or demonstrations of interest. Many Friends contribute directly to looking after the site and presenting it to the public by assisting in a practical way in helping conservation work parties, wardening the site on busy weekends. Others contribute in other less obvious but no less essential behind-the-scenes administration and other work that keeps the Trust running.